Evolutionary science stresses the contributions biology makes to our behavior. Some anthropologists try to understand how societies and histories construct our identities, and others ask about how genes and the environment do the same thing. Which is the better approach? Both are needed, argues Agustin Fuentes, University of Notre Dame biological anthropologist. 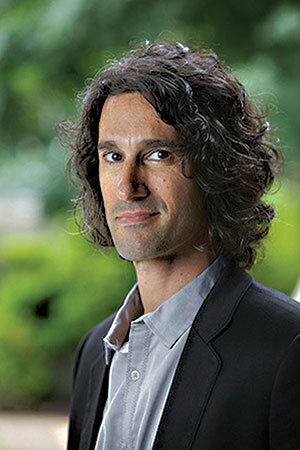 In a forthcoming paper in the journal Current Anthropology, Fuentes builds on the extended evolutionary synthesis of biologist Kevin Laland of the University of St Andrews and colleagues. Fuentes argues in the paper that anthropologists can, and should, combine evolutionary science, cultural analysis and ethnographic research. “In the extended evolutionary synthesis, what we think, feel and do can be as relevant as our DNA, the shape of our bones and the density of muscles … Many of those things are connected,” he said. “This makes evolution approaches to why humans do what they do more exciting and more accessible to a wide range of researchers, but it also makes our jobs a lot harder." An abstract of the study can be found here: www.journals.uchicago.edu/doi/abs/10.1086/685684. Originally published by William G. Gilroy at news.nd.edu on May 18, 2016.